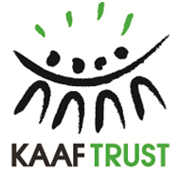 The Kaaf Trust is headed by, Dr Anwah Nagia, a well-known Cape Town anti-apartheid and community activist. Kaaf’s aim is to support worthy South African social, educational, humanitarian and historical causes. Kaaf’s ethos is to work in a spirit of dignity that leads to education, empowerment and nation-building. The trust has initiated feeding schemes and social upliftment programmes, and has supported publishing ventures, educational projects, conferences and cultural institutions.